Aadhaar number will be a must while applying for PAN as well as filing of income tax returns. To curb black money, the limit on cash transactions has been set at Rs. 2 lakh. 1) The tax rate on income between Rs. 2.5 lakh and Rs. 5 lakh will get halved to 5 per cent from 10 per cent. However, rebate under Section 87A gets reduced from Rs. 5,000 to Rs. 2,500. And no rebate will be applicable for taxpayers having income above Rs. 3.5 lakh. This means tax savings of up to Rs. 7,700 for those with a taxable income between Rs. 3 lakh and Rs. 5 lakh. And for persons with taxable income between Rs. 5 lakh and Rs. 50 lakh, tax savings of Rs. 12,900. 2) A 10 per cent surcharge will be applicable for individuals having income ranging from Rs. 50 lakh to Rs. 1 crore (existing surcharge of 15 per cent will remain the same for individuals having income above Rs. 1 crore). 3) A simple one-page form will be introduced for filing tax return for individuals having a taxable income up to Rs. 5 lakh other than business income. 4) No deduction will be allowed for investment in Rajiv Gandhi Equity Saving Scheme from Assessment Year 2018-19. 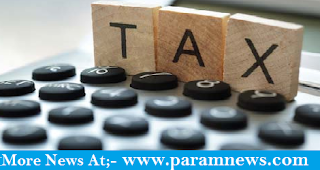 This tax-saving scheme, announced in the Union Budget for financial year 2012-13, was designed exclusively for the first-time individual investors in the securities market with gross total income below a certain limit. 5) Income tax officials can reopen tax cases for up to 10 years if search operations reveal undisclosed income and assets of over Rs. 50 lakh. Currently, tax officers can go back up to six years to scrutinise the books of accounts of assessees. Taxpayers who do not file their returns on time will have to shell out a penalty of up to Rs. 10,000 from Assessment Year 2018-19. However, if the total income of the person does not exceed Rs. 5 lakh, the fee payable under this section shall not exceed Rs. 1,000. 6) The holding period of a property for qualifying as long-term gains will be reduced to two years, from three years. This will help save tax if a property is sold within two years of buying. If a property is sold before two years, the profit from the transaction will be treated as short-term capital gains and will be taxed according to the slab rate applicable to him/her. 7) The government has cut down tax benefits borrowers enjoyed on properties let out on rent. As per current tax laws, for properties rented out, a borrower could deduct the entire interest paid on home loan after adjusting for the rental income. On the other hand, borrowers of self-occupied properties get a deduction of Rs. 2 lakh on interest repayment on home loan. But now onwards on rented properties, the borrower can only claim a deduction of up to Rs. 2 lakh per year after adjusting for the rental income. And the amount above Rs. 2 lakh can be carried forward for eight assessment years. Since the interest component of home loan repaid in initial years is higher, experts say that the borrower may not be able to fully adjust the interest paid as deduction even in subsequent years. 8) Individuals will be required to deduct a 5 per cent TDS (tax deducted at source) for rental payments above Rs. 50,000 per month. Tax experts say that the move will ensure that persons who get a large rental income come into the tax net. It will be effective from June 1, 2017. 9) Partial withdrawals from National Pension System (NPS) will not attract tax. According to the proposed changes, NPS subscribers can withdraw 25 per cent of their contribution to the corpus for emergencies before retirement. Remember that withdrawal of up to 40 per cent of the corpus is tax-free on retirement. 10) Aadhaar number will be a must while applying for PAN as well as filing of income tax returns from July 1. To curb black money, the limit on cash transactions has been set at Rs. 2 lakh. The Finance Bill had originally proposed the cap at Rs. 3 lakh. If a person receives any sum in contravention of the tax law, he/she will be liable to pay, by way of penalty, a sum equal to the amount. Starting April 1, 2017, some income tax laws will change. Finance Minister Arun Jaitley had announced a number of income tax changes in Budget 2017. In addition, some amendments were also introduced in the Finance Bill. Aadhaar number will be a must while applying for PAN as well as filing of income tax returns.